ToyQueen post from Facebook - Geoffrey the Giraffe wears a cape that says, "back from vacation." Geoffrey LLC: "Back from vacation." Geoffrey LLC, the Toys R Us (TRU) intellectual property holding company, has cancelled the upcoming auction for the TRU IP, despite fielding several bids for the assets. The business has instead allowed secured lenders – including Solus Alternative Asset Management and Angelo Gordon & Co. – to acquire nearly all of the TRU IP and house brands the TRU business had. Upon approval by the US Bankruptcy Court, the reorganised Geoffrey LLC will control the trademarks, e-commerce and data linked with TRU and BRU businesses in the US and across the globe (except Canada). That future looks to be in the form of Geoffrey's Toy Box (GTB) – a company name registered nine days prior to the final closing of TRU US stores – which according to Barry will be a, “shop within a shop,” concept which will launch with, “a prominent mid-west retailer,” in November. 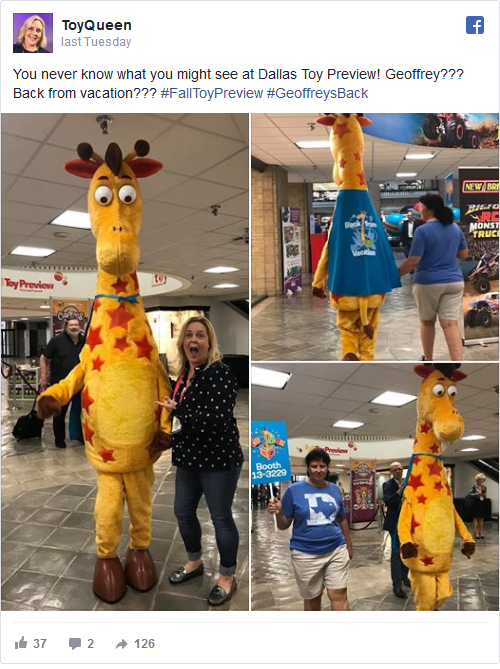 ToyQueen's post from Facebook - Geoffrey the Giraffe wears a cape that says, "back from vacation." However, the news of Geoffrey's Toy Box has not impressed MGA CEO and chairman, Isaac Larian, who fought to save TRU from going under earlier this year. Larian said that MGA will never do business with the team at TRU again. “I am so angry. This is unbelievable - 33,000 people lost their jobs, more than that. “They destroyed a brand that's been around for 70 years for their short-term ... gains. “MGA for one will never give them credit or do business, because they're not reliable people,” he said. 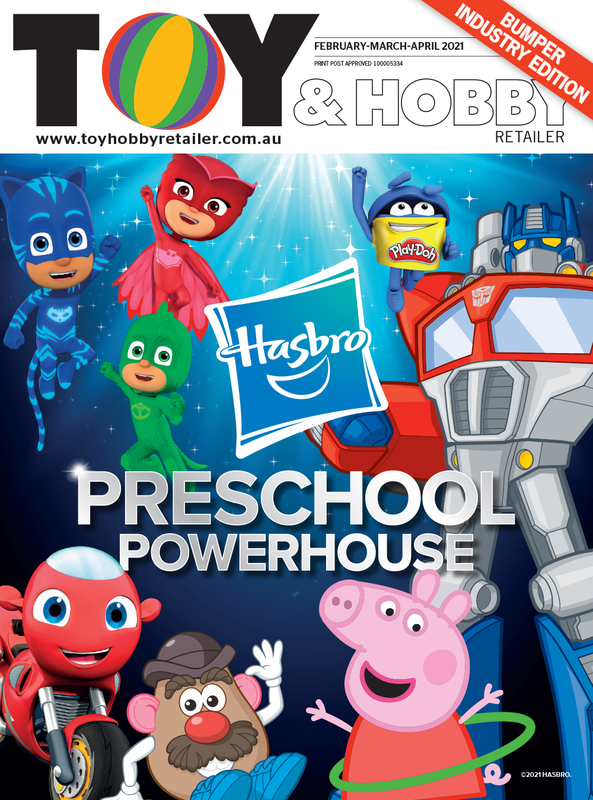 Toy companies across the globe suffered serious losses when TRU closed down and its re-emergence only introduces more potential competition into the market. Whether GTB makes its way to Australia is yet to be seen. What are your thoughts on this story? Leave your comments below.